Mayan Image by Ernest Lothar on display at the Art Spirit Gallery. Art history has forgotten Ernest Lothar, whose contemporaries — artists like Marc Chagall, Wassily Kandinsky and Paul Klee — fled Nazi Europe for America, converging mostly upon New York City, and forming the canon of so-called exile artists whose works are now celebrated in the annals of art history. But Lothar's escape from Hitler's juggernaut was circuitous, bypassing metropolitan art centers for many years. Though he made a significant body of artwork, illness and other circumstances conspired to dim his rising star in the art world for more than 60 years. An upcoming exhibition at the Art Spirit Gallery in Coeur d'Alene reintroduces Lothar, sharing not only his artwork, but also his compelling story. "The story excited us in equal amounts as the artwork," says gallery owner Blair Williams. "We get approached often by artists and families of artists and we consider ourselves fortunate that way." More often than not, though, the artwork people share with them is not a good fit for the gallery, she says. Last year when Melita Pepper — Lothar's stepdaughter — brought in three of the late artist's oil paintings, Williams was intrigued. "There's something special about the work," says Williams, who will show around 60 of Lothar's oil paintings — many in their original frames — 200 unframed pastels on paper and 30 illustrations. Born in 1906 to Jewish parents with an interest in art, Lothar attended Austria's Academy of Fine and Applied Arts in the 1920s and was making a living as an illustrator throughout Europe when Hitler rose to power. He fled Austria in 1938 for Switzerland, where he taught art in a refugee camp, but after being forced into military service and denied the opportunity to marry — refugees typically have no legal status — he fled again. The Dominican Republic was offering safe haven in exchange for work in the tobacco fields, so Lothar and his bride-to-be, Marianne Kater, made the journey in 1940 to Ciudad Trujillo. The Ernest Lothar show includes around 60 oil paintings, 200 pastels on paper and 30 illustrations. 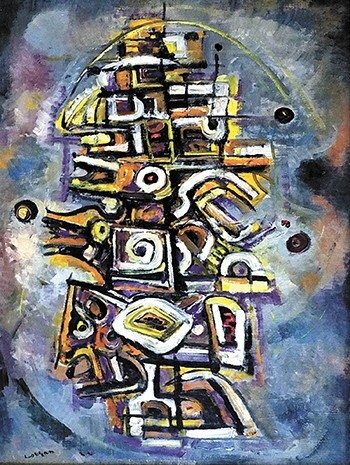 While in the Dominican Republic, Lothar worked in the fields, but also gained attention for his artwork, which continued to evolve into a more abstract style, similar to his contemporaries. Woman Combing Hair and Dominican Woman Feeding Chickens, for example, are reminiscent of Paul Gauguin's work from his time in Tahiti, while Landscape with Horse echoes Cezanne. Lothar returned to teaching, working less in the fields, but was already suffering from the effects of hard labor. He would later be diagnosed with multiple sclerosis. 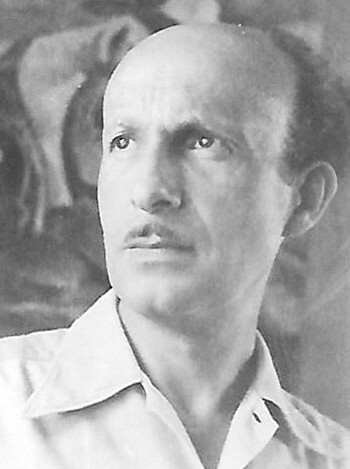 In 1945 he was made a professor at the country's National School of Fine Arts, joined a group of expatriate artists called "The Exiles" and continued to garner attention for his art, including through the Pan-American Union, which sponsored his first one-person exhibition in Washington, D.C. In 1947, Lothar finally emigrated to the United States, settling in Virginia, where he eventually met and married Helen Pepper, Melita's mother. Despite the ensuing scandal — Helen was married to Melita's father when she met Lothar — and Lothar's advancing illness, Melita adored Lothar, who raised her as his own from age 7 onward until his death in 1961.
Pepper's favorite memory is of Lothar in the studio. "He wore a little painter's coat and he would paint, paint, paint. Or he would draw and pull that drawing aside and do another." Lothar was prolific, says Pepper, and even though he was ill and they were poor — many of the pastels in the exhibition are on construction paper Pepper brought home from school — he had a wonderful sense of humor and positive outlook. "For a guy who was sick, he was really nice," says Pepper, who took over the collection when her mother passed in 1987, carting it with her as she traveled, first to Eastern Washington, and again to Post Falls, where she relocated in 2008 with her husband and her daughter's family. In addition to Lothar's artwork, Pepper has maintained a trove of letters, photographs, news clippings and other ephemera testifying to both Lothar's life in exile and his rising prominence in the 1940s modern art scene. In addition to appearing in the Washington Post and Los Angeles Examiner, for example, Lothar taught at several universities and was included in exhibitions at such venerable galleries as New York's Hudson River Museum, the Whyte Gallery in Washington, D.C., and a Beverly Hills venue run by the late Elizabeth Taylor's well-heeled father. Why show Lothar's work now? "I think now is a good time," says Pepper, who had approached other galleries in the past, including Fine Impressions in Seattle, which showed some of Lothar's work. Other places she approached while researching her stepfather's life couldn't show the whole collection. Then in 2016, she took some pieces to Antiques Roadshow when it traveled through Spokane — the appraiser was floored by the work, says Pepper. More recently, her yoga teacher recommended Art Spirit Gallery. It seemed like a good fit. Pepper isn't the only family member interested in Lothar's story. "In a sense, I have grown up around [Lothar] and have always known about him, because I have been exposed to his artwork since I was a child," says Max Rothenberg, Pepper's grandson, who is pursuing journalism at the University of Idaho. "How is it possible for one person to go through this much and still see the light at the end of the tunnel?" Rothenberg asks. "Ernest went through more in one decade than I suspect many people might in their entire lives, and much of it seems straight out of an elaborate, over-the-top film." The original print version of this article was headlined "Out of Exile"